Uncontrolled immigration “leads to chaos, racism, and social conflict,” said Italian Interior Minister Matteo Salvini in an interview on Friday, whereas the “only antidote to racism” is regulated migration. “The only antidote to racism — and the Italians are anything but racist — is to return to a respect for laws and regulations, and monitor who enters and who leaves this country,” he said. Mr. Salvini said he is also working to fulfill his promise of repatriating migrants who have been denied asylum, but struggles with resistance from some of their countries of origin. “We need to work hard and do what others have not done in the past. The situation is that at present we only have agreements with four countries, and only one of them works well, Tunisia, with whom there are two charter flights a week,” he said. “So you have to work, travel, talk with these countries, renew agreements, make new ones. I’ve already been in Libya and Egypt, and now I’m planning to go to Morocco, Tunisia, and Algeria,” he said. 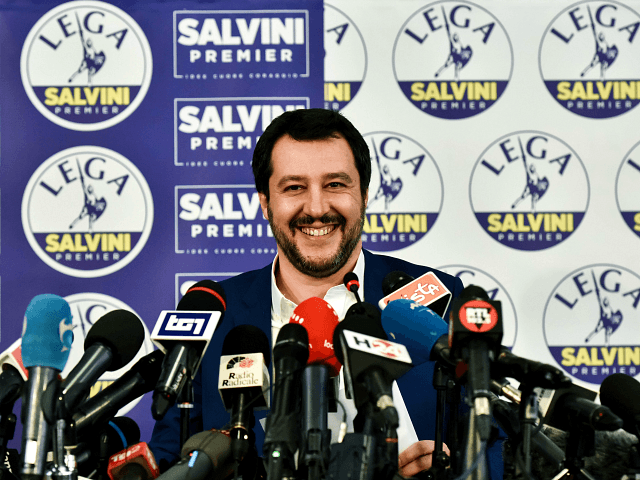 Mr. Salvini was asked how he explains the “unprecedented hostility” toward him from the Catholic establishment in Italy, notably the bishops conference and Catholic journals such as Famiglia Cristiana and Avvenire, who accuse the minister of xenophobia and racism. “Honestly I cannot explain it,” Salvini said. “So much virulence leaves me truly perplexed,” adding that he does not put much stock in theories that attacks are coming from a part of the Catholic world that has built a “business” on immigration.